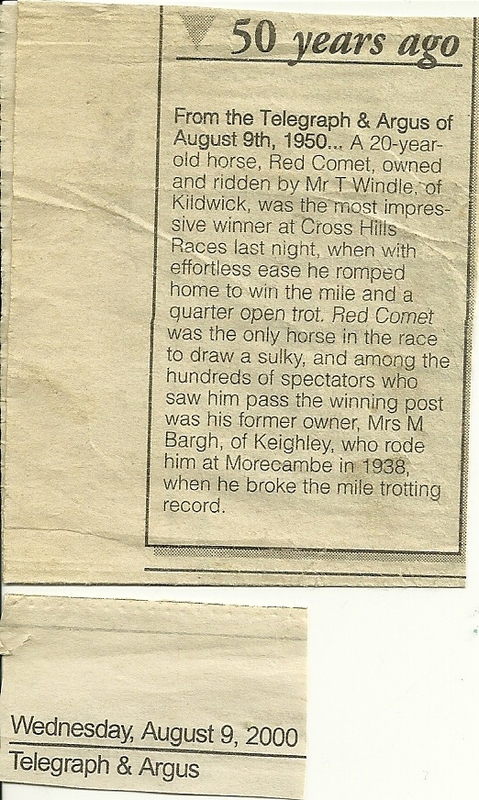 My sister Judith has come up with this picture of Red Comet, it came from Steve Windle. 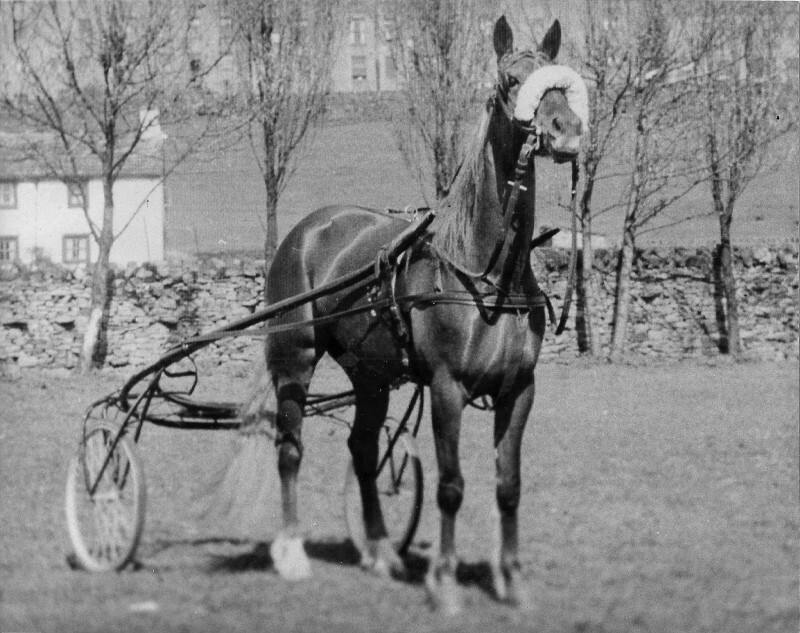 It's taken in the field opposite the white house which used to belong to Windles on Kildwick straight. My father, Frank Ingham, bought Red Comet in 1952 and continued the success story.